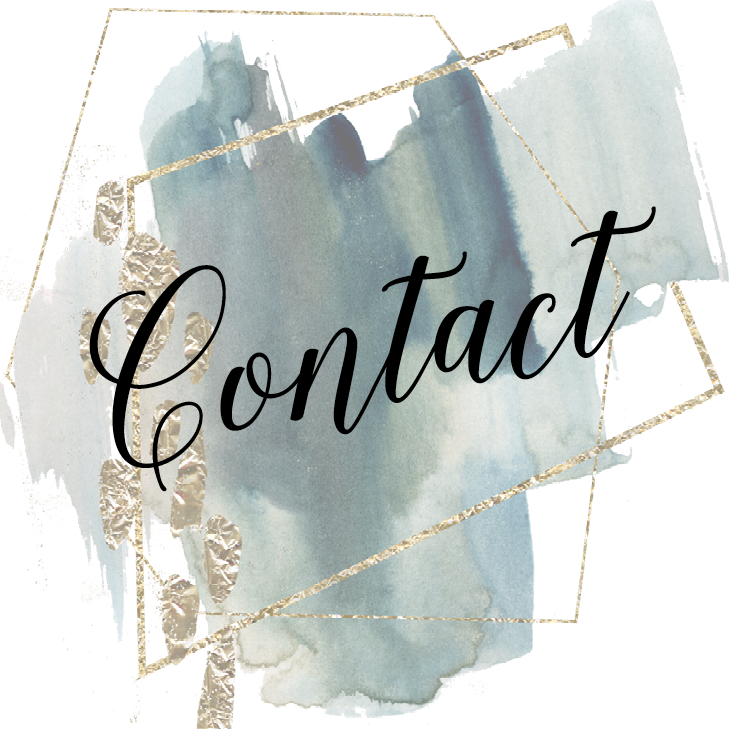 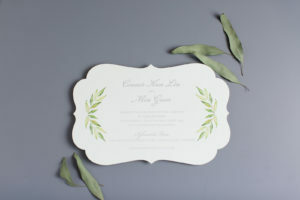 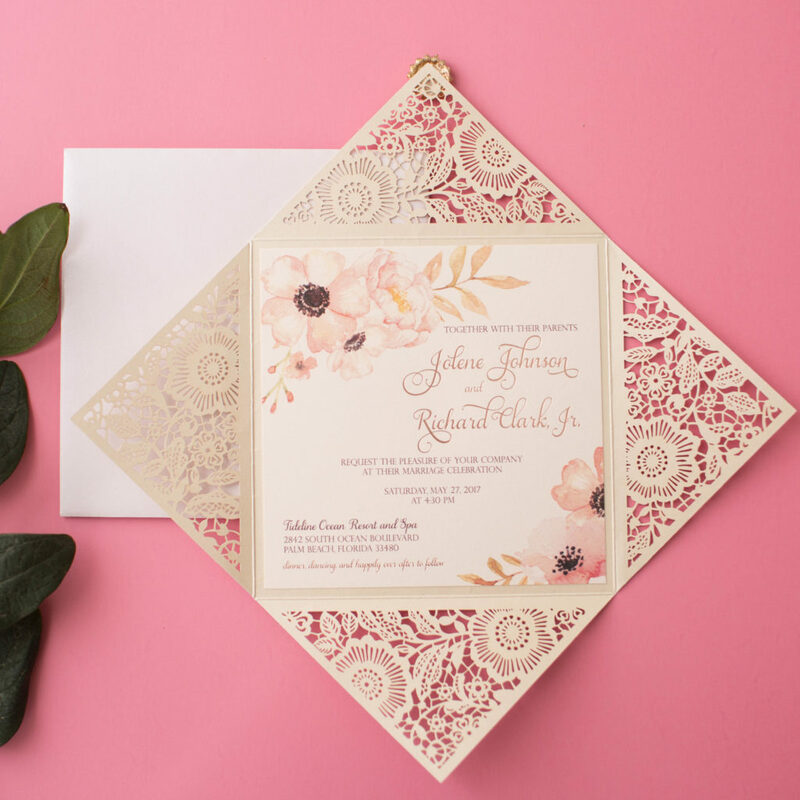 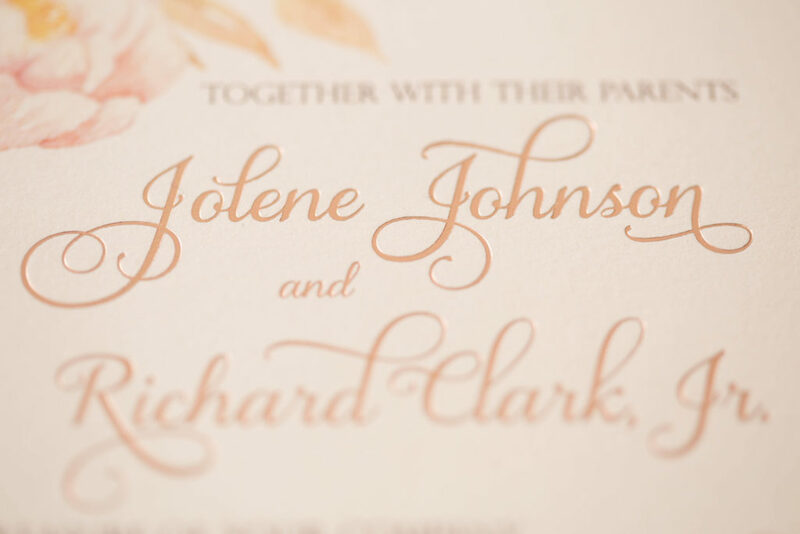 Jolene & Richard’s wedding invitations were just stunning! 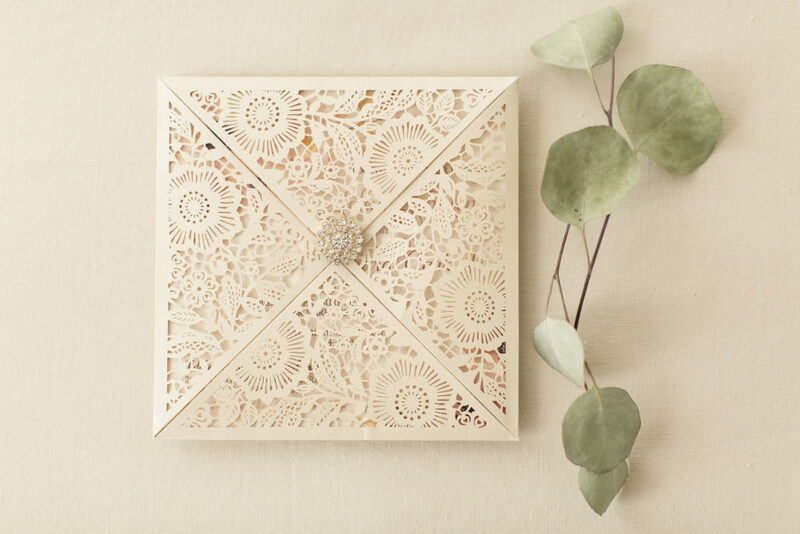 A darling little rhinestone button set gold is the perfect little “closure” of a metallic ivory lasercut folio. 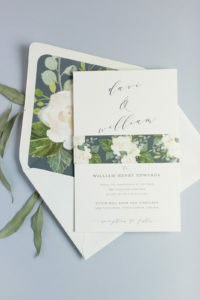 Inside, was a beautiful watercolor floral spray set in the corners to highlight the asymmetrically set text. 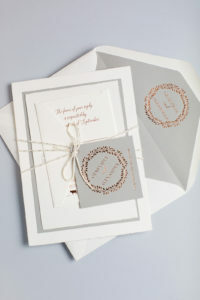 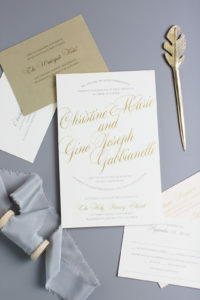 Their names were in rose gold foil, which really popped against this pale blush paper.